Create squeeze pages that convert like crazy in seconds! OptIn pages are based on the tried-out 2-step conversion process, available as standalone pages or in a pop-up / lightbox. With support for all major autoresponder services, FB and local subscribers storage you'll be up & running in minutes. Everything is tracked & measured to get the max out of every page + A/B test can be setup with a few clicks. More subscribers means more money and that's our primary goal - to help you grow your email lists! For the single-payment of OptIn Ninja you can't get one month of service on SaaS sites such as LeadPages, InstaPage, Unbounce or OptinMonster. You'll get the invested $29 back in new subscribers within a few days after setting up your first OptIn. We guarentee it! We know you want to start getting new subscribers as soon as possible. That's why we bundled 20 templates to help you get started. Just put a bit of text in and you're ready to go! New templates are free and available directly from the plugin's dashboard. Template demos. Our unique dashboard gives you all the info - latest subscribers, a world map so that you can see where your subscribers are coming from, optin visits and conversion rates, top performing optins and country stats. Everything is here - see for yourself. Everything works out of the box! There are even some sample pages available when you install the plugin so that you only have to change the text. You don't even need an autoresponder service since all subscribers are stored in a local database (which you can export). We know setting up A/B test can be frustrating so we made the process very simple. Once you have the master page done just make as many clones as you need and do the necessary modifications on them. It's that easy. Each test has a custom URL and detailed statistics. 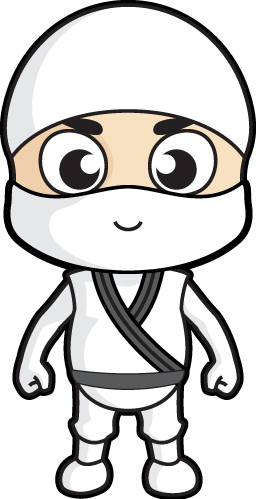 OptIn Ninja supports MailChimp, Aweber, GetResponse, Mad Mimi, ActiveCampaign, Campaign Monitor and any custom form. You can also use Facebook to collect subscriber info and store data in a local database which doesn't require 3rd party services. Knowing what's going on is the most important thing in marketing! That's why we offer in-depth visits and conversion (second box views & subscriptions) statistics for all pages and tests. Google Analytics tracking is also supported with custom events tracking. OptIn Pages work indepently and hence are compatible with all themes and plugins. As long as you're running WordPress 3.8 or higher everything will function flawlessly. All OptIn Pages have a fully customizable URL. You can even set an OptIn to be available as your site's home page. Same principle applies to A/B tests - put them on any URL you like. Everything was designed from the ground up to work on mobile devices. Design is responsive and all tracking and subscribing services function on all modern mobile devices. You can put any content you like in the OptIn Pages, including videos. Be it YouTube, Vimeo or any other service it will work. You can also host the video file on your WordPress site. To help you get started we've included more than 200 background pattern images and 50 full HD background pictures. Use them to create sliding backgrounds or simple static ones. We made sure you can customize OptIn Pages to any extent you need. From fonts, text color and size to border, backgrounds and buttons. Everything can be changed with just a few clicks. Dazzle your visitors with YouTube videos played in fullscreen as backgrounds on standalone OptIn pages. Videos are muted and played on repeat for maximal effect. If you opted to use our local email storage you can still send welcome emails to all your new subscribers, just as you'd with a paid 3rd party service. Emails can be fully customized. Not all people will subscribe but we can make sure their number is as low as possible by displaying a custom message to all those who leave without subscribing. Having a two step process can increase your conversions by up to 60% (source). It's a tried and tested method that raises interest with the visitors and then hooks them up. If you want to get your visitors to the subscribe form immediately you can disable the first step / content box. It's perfect when used with the pop-up method. All OptIn Pages and A/B test can be displayed in a pop-up / lightbox window using the provided shortcode or by modifying any existing link. A great way to get leads on existing pages. Whenever a new user subscribes you can be notified by a native mobile push notification (available for iPhone, Android, and Desktop) or a custom email. A great way to keep your lists in check. By default pop-ups open in the middle of the screen, but you can choose one of nine predefined positions (top, left, right, bottom, ...) to make sure you get the most out of your campaign. OptIn Ninja is a premium WordPress plugin so if you experience any problems our fast and friendly support is here to help you. We've built more than 50 premium plugins and have your back. Carefully thought out predefined values, sample pages and test as well as rich inline documentation will ensure you never get stuck. However, if you do there's always the full documentation. Hate going through 10 different screen just to see your latest subscribers or to find out how an OptIn is performing? We do too! That's why we created a unique Dashboard that gets you all that data on one great looking screen. Just a glimpse at the graph will give you an ide which test is performing better in an A/B Test or how much conversions you had last week. If that's not enough you can also use Google Analytics with custom events tracking. Each OptIn Page can be adjusted using more than 50 design and functionality options. But don't worry! You won't be overwhelmed because we made sure default options are perfectly configured so you want have to touch most of them. We know finding great graphics can be a pain so we made sure you have something to start with by including 300+ tiled background images and 30+ full HD backgrounds to use as static or slided backgrounds. What you do after visitors subscribe is as important as actions before it. That's why we've included a local autoresponder that send welcome emails to new subscribers (enter a valid email and you'll see). This demo also shows that you can redirect users to a new page after they've subscribed. If you think people will rather click "Login with Facebook" than type in their name and address we have you covered! Only thing you have to do is create a Facebook app and copy/paste its ID in the Optin Page. User data is stored in a local database and can be exported it in various formats. A bit more serious example with 3 sliding images in the background and video in the content; also it has a custom URL. If you don't subscribe the page will try and stop you from leaving. Mailchimp is used as an autoresponder and if you leave a real email you'll get a subscribe confirmation. Refresh this demo a couple of times to see the title and button changing colors. The test consist of 2 pages that are randomly displayed to users. We've modified session handling so that you can see both pages. In real life you'd see only one per session. Both pages use local storage as the autoresponder setting. Although you can create elaborate and content heavy pages you can also create very simple ones optimised for pop-ups such as this one. If you want to collect additional emails on already built sales pages pop-ups are the way to go. Don't worry, stats are collected the same way as with standalone pages. If needed you can disable the first OptIn box and have users see the second box (with the subscribe form) immediately when they open the OptIn. This is particularly useful when using the pop-up method as it gets users to the form faster. Get more email subscribers today!